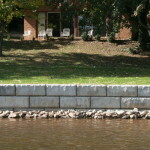 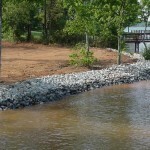 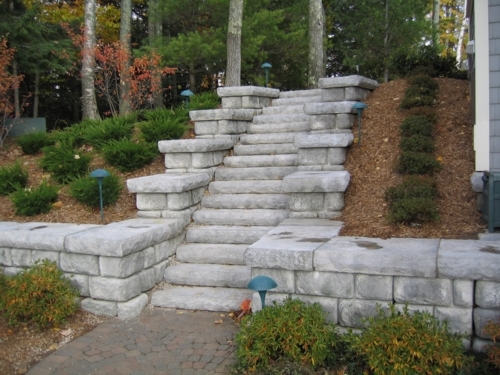 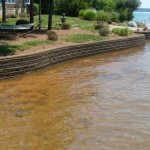 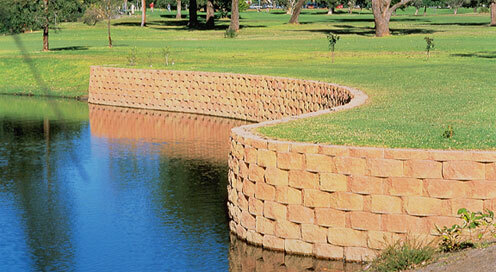 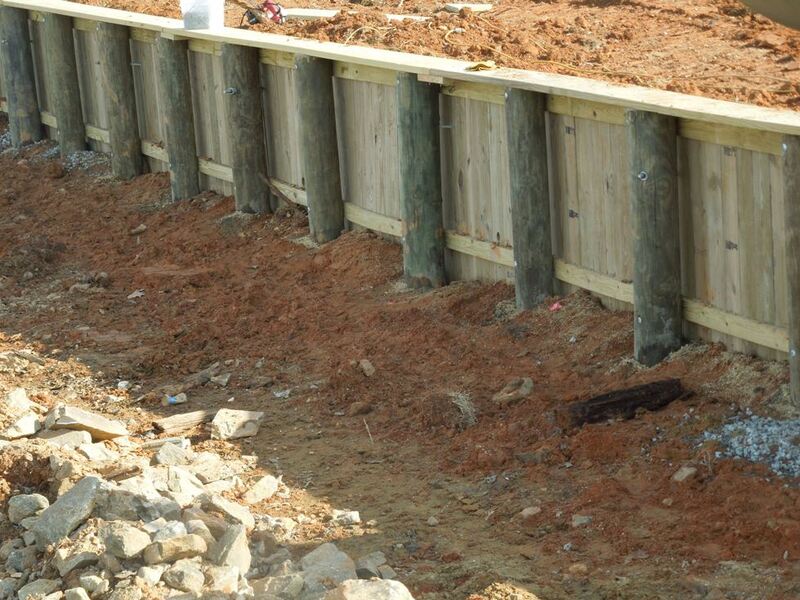 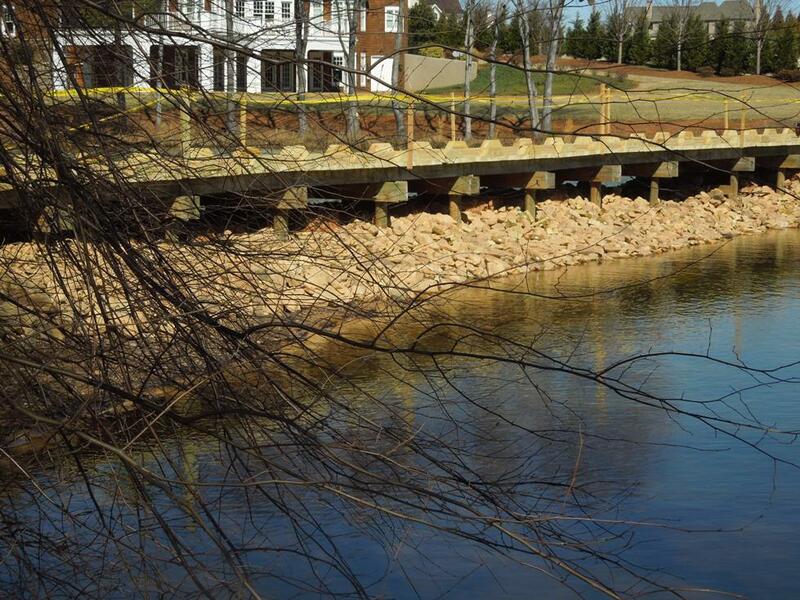 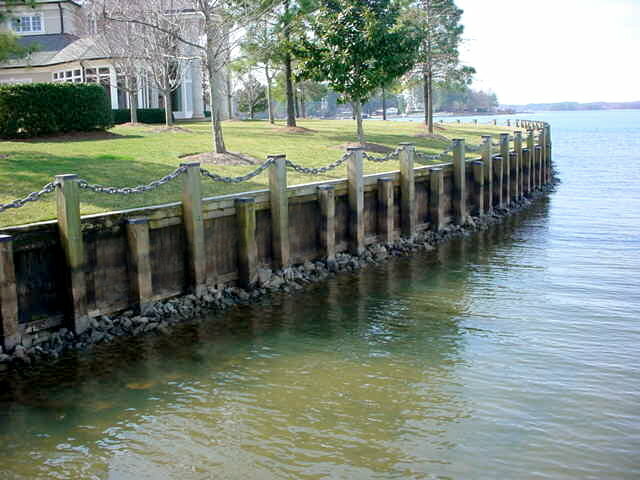 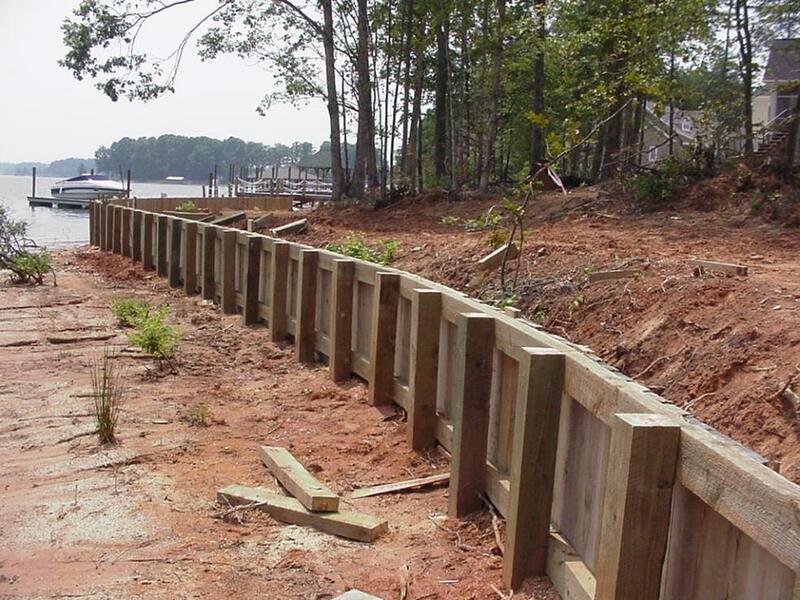 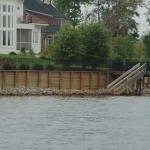 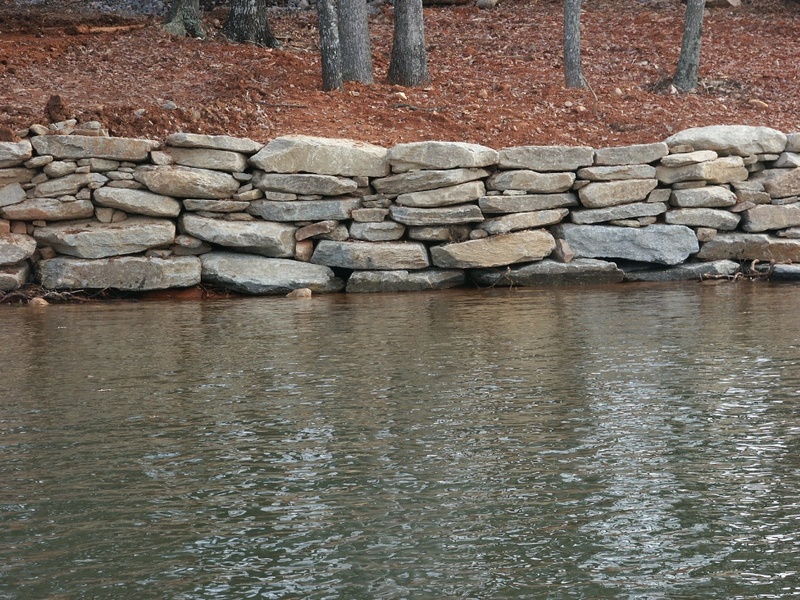 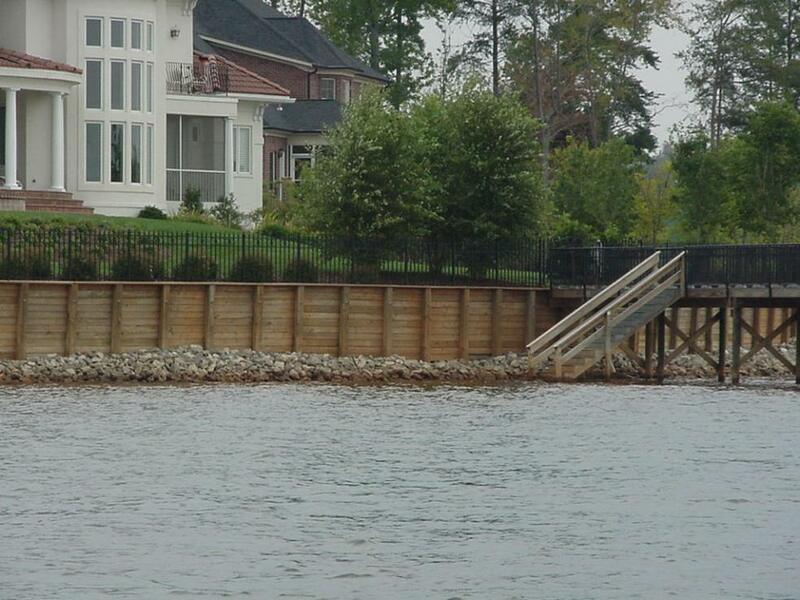 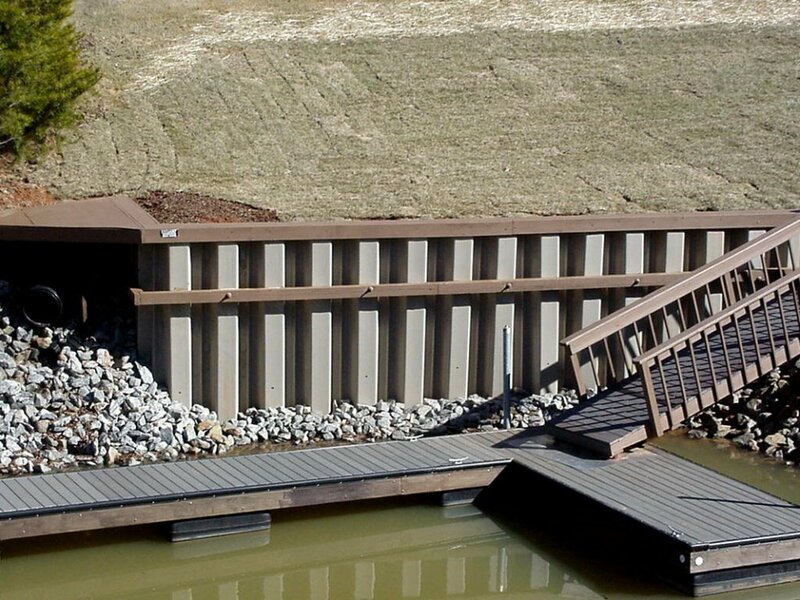 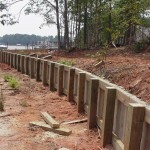 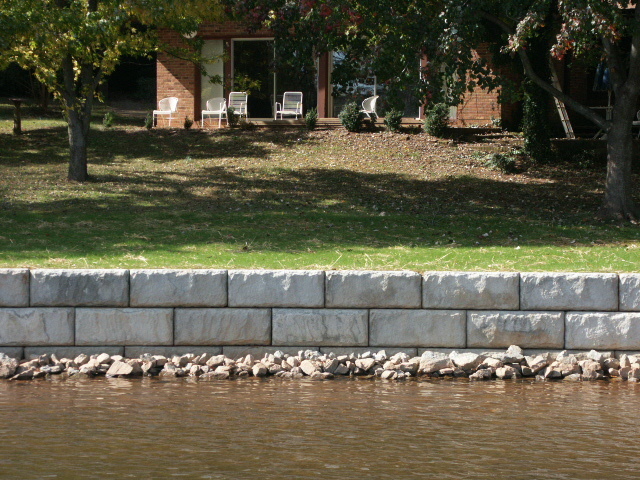 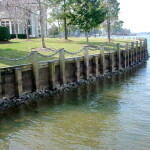 Seawalls come in a variety of sizes, shapes and materials. 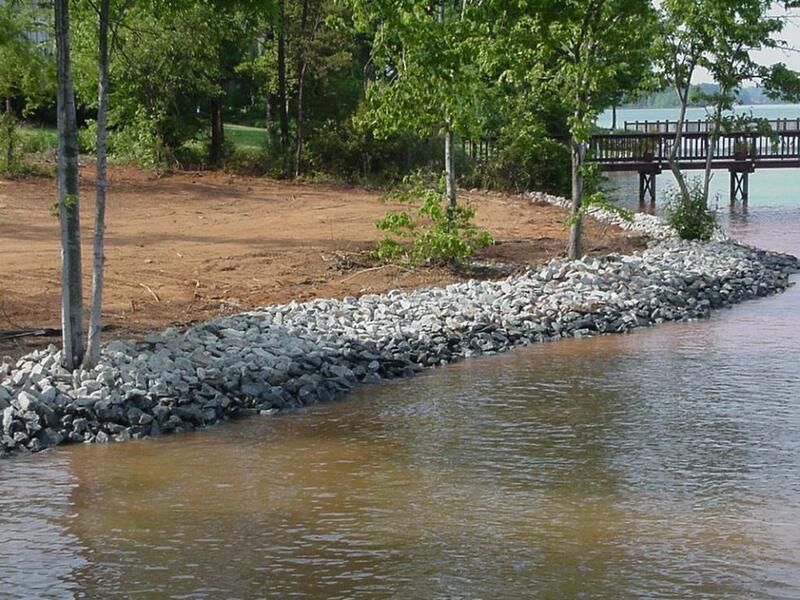 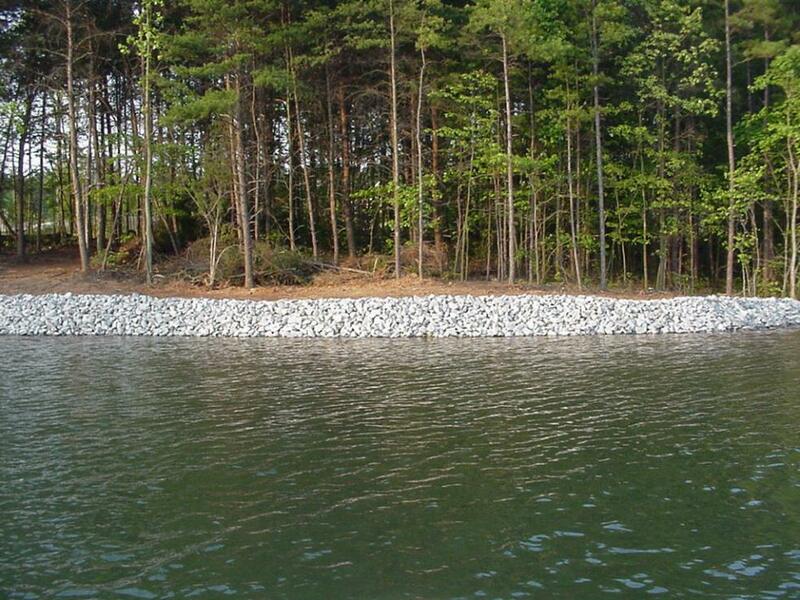 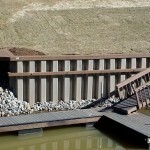 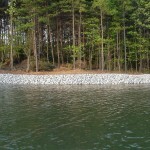 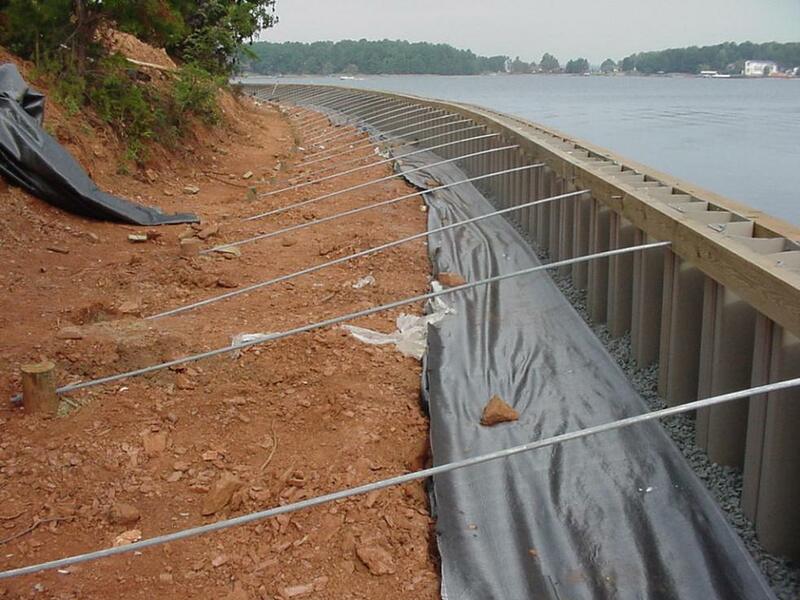 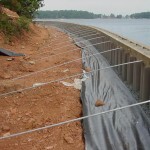 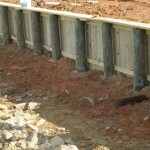 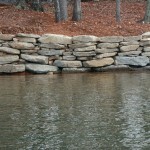 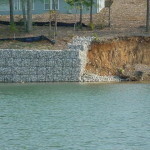 Vinyl and wooden sheet piling with solid steel tiebacks are standard products on inland lakes. 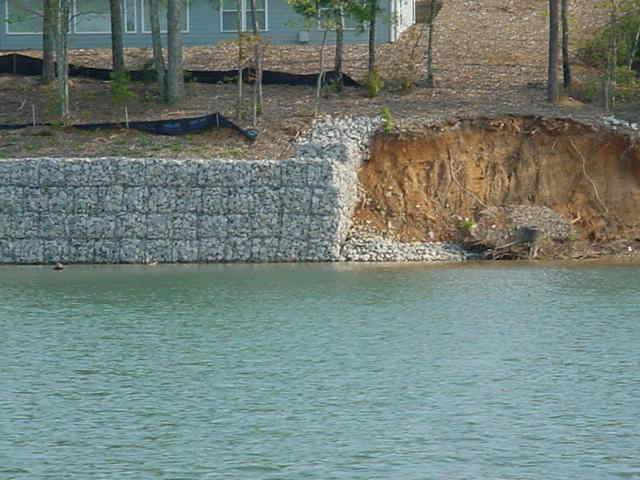 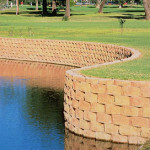 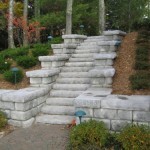 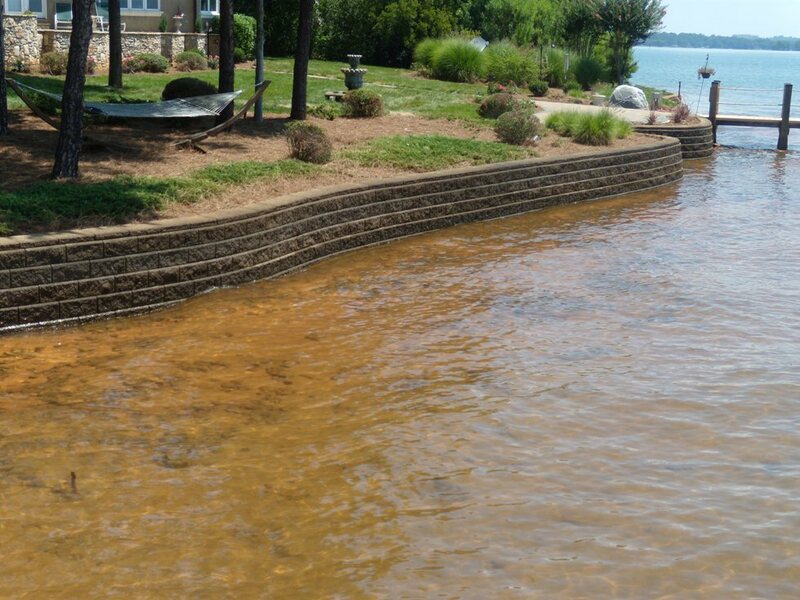 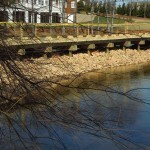 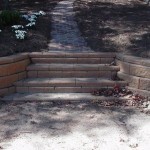 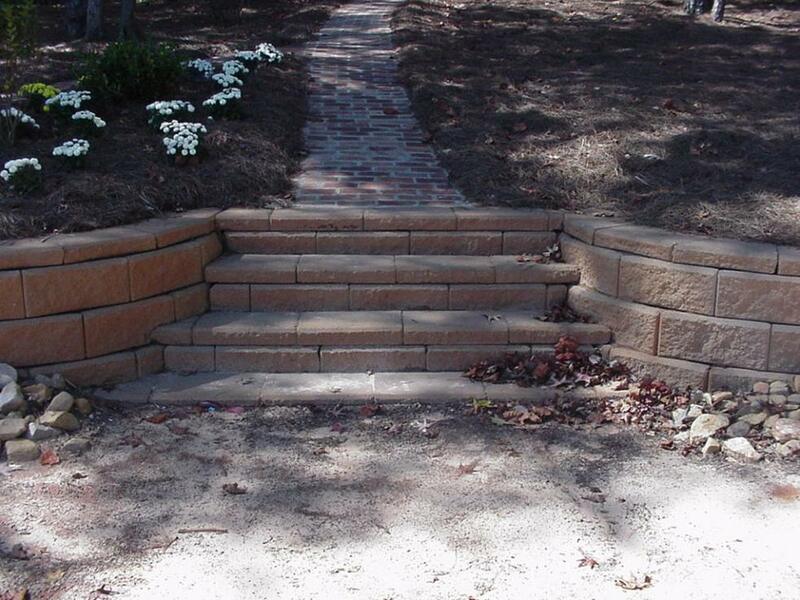 Also revetments of Rip Rap or River Rock and decorative engineered stone (Keystone or Allen) are also popular in places where fetch, site conditions and design constraints permit.